In my journey to understand the inner workings of Australasia’s best real estate brands, I’ve been captivated by the concept of utilising technology to curate personalisation en masse. Successfully integrating automated systems into an industry that relies so heavily on interpersonal interaction isn’t easy and many brands have suffered through the teething process of trying to perfect the balance between efficiency and providing a service that maintains real estate’s integral personal touch. One brand that has seamlessly mastered this domain is Buxton. Through smart database setups that allow each agent to build hyper relationships with their clients, Buxton is changing the way we think about email automation and its often misconceived perception as a vessel for impersonal spam. 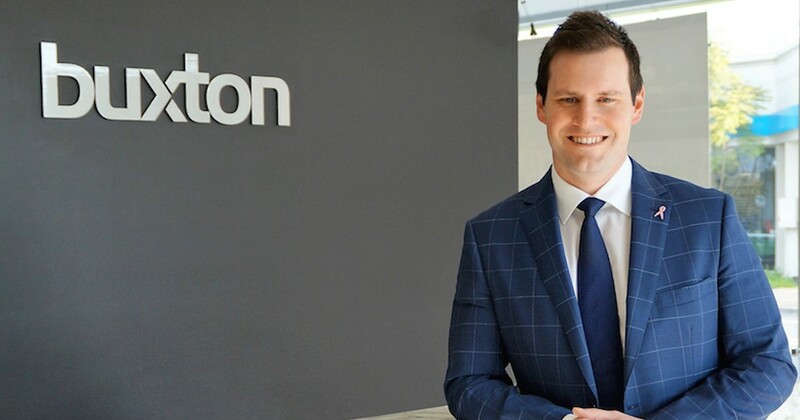 I sat down with Buxton CEO, Nathan Jones and Operations Manager, Fiona White to find out how this boutique brand has positioned itself as one of Victoria’s most personal real estate groups. At ActivePipe, we are driven to personalise the email communication experience for real estate customers whilst giving agents the ease of intuitive automation. You have taken it to the next level at Buxton. Can you tell me about how you’re achieving this? Nathan: We’ve set up our database so that every contact in the system is only ever hearing from one agent. The difference between our database and other brands is they have all these siloed databases whilst we just have one. This means that no matter whether a contact has gone to different agent’s OFIs or bought property off someone else, they are still the client of that original agent. We just wanted to make sure that we never had a scenario where two Buxton agents were sending eDMs to the one person with the same properties or even different types of properties. Relationship singularity is extremely important to us. We’re trying to build the hyper relationship between the agent and the client through these eDMs and ultimately that came down to us making sure that we weren’t competing with ourselves. How did ActivePipe help you achieve this? Nathan: In terms of building out the customer journey, we had been running with a couple of ideas for a few years but the system we were using was a bit like a dumbwaiter. There was no feedback and no intuitive AI behind it to tell us to send out another communication after someone had engaged. It was just, ‘On Thursdays this email goes out’ or ‘On Fridays this email goes out’. We still had that one-on-one contact but there was nothing smart about it. So the ultimate leap for us was taking it to the next level with ActivePipe. So in terms of your nurture program, imagine that I’m a dormant lead and haven’t spoken to someone from Buxton for a significant period of time. How do you trigger off a journey? Fiona: We send out ActivePipe’s Data Discovery Surveys once a quarter. That’s just if they haven’t interacted with any correspondence from us. They’ll also receive monthly ‘Sold’ reports for their desired area. So, regardless of whether you’re interacting or not, you’ll always get an email from us once a month and then quarterly with the Data Discovery Survey. This leads perfectly into my next question which is around clean data. The Data Discovery Surveys are so effective at keeping a well-maintained database, which Buxton agents are great at. What are some of the benefits you are leveraging through this information? Fiona: It’s so easy to forecast behaviour when you use the dashboard properly. You can see people’s home address, where they’ve been searching and you can see that they’ve been self-appraising among other things. You’ve got that next level of data rather than just, ‘Oh, I’ve got their address’ or ‘I know where they live’. Our agents are able to have a personalised conversation with their contacts. Nathan: The piece of data that I’ve always found missing on real estate databases which I find slightly comical is a property address. We’re in the business of building relationships and transacting on properties, so it would be handy to know where people lived. If you know where someone lives, what you can do is pretty limitless in terms of the information that you serve them. Without it, you’re fighting with one arm tied behind your back. That is the importance of clean data, of quality data. If you don’t have it, you’re going to struggle. I want to know more about how you’re helping create better experiences for your customers. How receptive are they being to the automated comms being sent to them? Are they receptive it or are you getting pushback? Nathan: We’re not having pushback at all. People want customised marketing. They don’t want generic, impersonal communication coming through. If people shop at Country Road, it asks them to put in their size, height, shape and all of a sudden they start sending comms featuring appropriate clothes. It’s the same thing. People don’t have to time to sift through hundreds of messages to find the two that make sense. They just want the two that make sense. That’s the beauty of what I call the pre-framing process with ActivePipe. I’m particularly interested around branding and how you maintain brand integrity. How can an agent maintain their individuality without jeopardising the Buxton brand? Nathan: So for us, it’s all about freedom within boundaries. We create the boundaries of the email templates, and some are tighter than others. With ActivePipe we’ve been able to lock down as much as we feel we need to in terms of branding and logos. In terms of content, we create an absolute truckload of it on a daily basis that we encourage people to use. We don’t limit or cap how much or how little agents use but at least they don’t have to go out there and try and create it themselves. We have a range of blog posts, social posts, local business interviews, photography and trends. Anything you can think of, our social and media team create. Then it’s up to the agents to drag-and-drop what they want. There’s so much to talk about in terms of technology and training your agents around this technology that we will talk about in our next catch up. Is there anything more you’d like to finish off with today in regards to personalisation and the methods you’re implementing to ensure it? Nathan: Just that in all honesty the number of non-direct inquiries to our website has been significantly reduced post-ActivePipe, even though our traffic volume has drastically increased, thanks to clicks from the properties and content in our ActivePipe emails. The communication is so targeted that without knowing it, our agents are building a one-on-one relationship with clients and when these clients are clicking on emails they’re just going straight to the agent. We deliver both automated and customised content, so irrespective of individual agent time constraints, we know at a minimum that we control a certain level of communication with our clients and contacts. Every single email comes from the individual; i.e. John Smith at Buxton, not an impersonal ‘no reply’ at Buxton. It’s as simple as that. Keep an eye out in the next few weeks for part two of my interview with Nathan and Fiona. If you’d like to speak to someone from ActivePipe about how you can personalise your communications and increase website traffic, get in touch here. Follow us on Facebook and LinkedIn for more expert insights from real estate’s top brands, executives and agents. 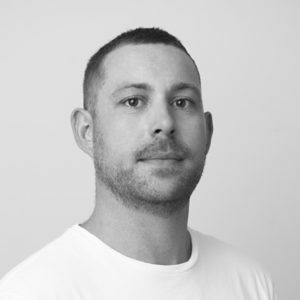 Nick is an accomplished Advertising and Marketing leader, with close to 10 years experience managing integrated campaigns for some of Australia and New Zealand’s largest companies. A numbers guy, Nick believes data-insight is the key to implementing marketing strategies that service customers, build relationships and drive sales.